Unearth the origins of the legendary Pontianak at Universal Studios Singapore’s Halloween Horror Nights 8. Read all about Universal Studios Japan’s Universal SURPRISE Halloween event – reviewed by guest writer Yukendoit! Step into the world of Stranger Things and find Will Byers at Universal Studios Singapore’s Halloween Horror Nights 8. Witness a tale of tragic betrayal in The Haunting of Oiwa, a Japanese-themed haunted house at Universal Studios Singapore’s Halloween Horror Nights 8. 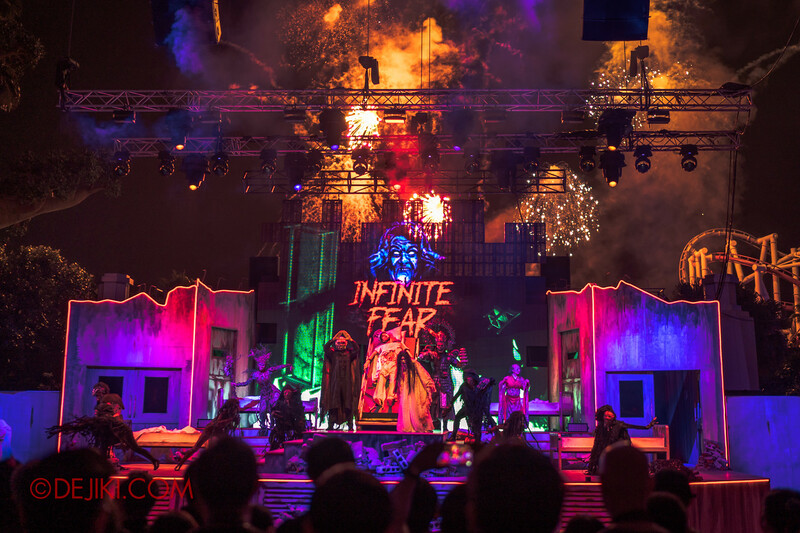 Conquer your greatest fears like a VIP at Halloween Horror Nights 8! Read to find out about the HHN8 RIP Tour and 2018 Behind the Screams (BTS) Tour in this review! Survive a zombie outbreak at Zombie Laser Tag 2018, Halloween Horror Nights 8’s ‘VIP zone’ attraction that has returned with upgrades.